Summer is Finally Over. Yay! 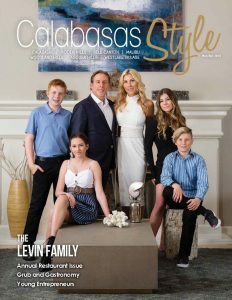 | Calabasas Style Magazine Summer is Finally Over. Yay! Summer is Finally Over. Yay! We made it through the summer; the kids are ready to go back to school. I know everyone is just devastated about all that free time we are going to have. So, here are some things that might make the transition easier. Casio has their FX-CG10 Prizm Color Graphing Calculator available for under $100. 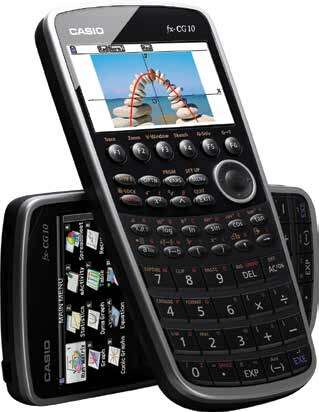 It has a full-color LCD screen and can create graphs over pictures. You can actually use real-life scenes that help you understand mathematical functions. It’s always a good idea to have a good-quality printer. Canon has always been one of my favorite printer manufacturers. Their printers are high quality and low cost for what you get, and they have many models to choose from. Their TS6020 is an all-in-one printer. It has a copier, scanner, and mobile-printing capabilities. It has an auto-duplex feature that allows printing on both sides of the paper and will even allow you to print business cards. It sells for less than $150. If you or your children need a good laptop, I’m a big fan of Acer products. The Acer Aspire series is quite a bargain. The E15 models include a 15 6-inch HD screen, Intel core i3 processors, 4g DDR memory, and a 1TB drive. The battery lasts around 12 hours and includes a backlit keyboard. All of this for the ridiculously low price of $350. As parents, we all get a little crazy when our children are out at night or we can’t reach them. A new app called Life360 has some unique features. It has crash detection, which automatically detects when a car accident occurs, and allows for immediate assistance. You can set up unlimited alerts for the family and get notified when they arrive at their destination. Additionally, it offers details about local crimes in your neighborhood. The service is free but there’s a premium subscription if you’re interested in additional features. If you have an iPhone, check out Find Your Friends. The app is included with your iPhone and allows you to keep track of loved ones by GPS. Both parties have to agree to be tracked. Once the app goes into effect, it’s extremely accurate. If you have a tough time getting the rug rats out of bed, check out the Philips Bluetooth Dual Alarm Clock Radio. The device accommodates both Android and iPhone products, has a built in microphone, and allows wireless music streaming via Bluetooth. When your kids wake up to their favorite music, it may just make it a little easier to get them out of bed. Hey, we can all hope, right? If your pets are your favorite children, as they are with most parents, and you want to track their whereabouts, you have many options. Find My Pet Nano GPS Dog Tracker sells for around $90. It connects with your cellphone and uses GPS satellite to track your dog. If it loses the satellite signal, it will use available Wi-Fi signals and Bluetooth; then it will default to your cell phone network. There is a monthly fee of around $5. Personally, I never let my dogs out of my sight, but that’s because I’m a little crazy; and you should be, too. Enjoy the peace and quiet for the next nine months. As we all know, “they’lllllllllll be back” next summer.